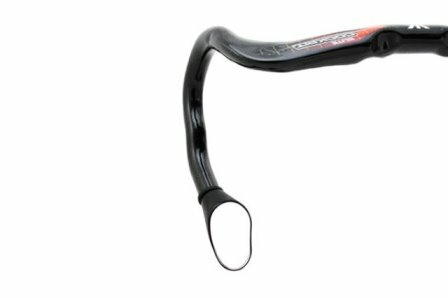 SprinTech Road Drop Bar Rearview Mirror - 1/Single. For Left Side. Revolutionary Swiss design: lightweight, low-profile, easy to install. SprinTech mirrors have earned the reputation among cyclist as the best in the world. When other brands rattle and spin out of position, SprinTech mirrors hold true. Install your SprinTech (curved) or MTB/City (straight bar) mirrors and you'll experience life on the road from all vantage points. Expands your visual field without shifting your head or body to see behind you. Fits Curved or Straight Bars. Works with all road handlebars by attaching to the bar end using its simple retrobike install. Placed on the left side of the handlebars, the SprinTech rearview mirror is easy to install. Simply remove the cap from the end of the handlebar, insert the connector plug, and attach the SprinTech rearview mirror. Once installed, simply adjust to the desired position. * Super lightweight: 19 grams per mirror. *Made in Switzerland. Durable, adjustable, elegant design. *Extremely scratch-resistant polished poly-carbonate construction. Non-glass. *Available in Black, White, Red, Yellow and Blue. *Available in upright model for MTB straight bars. *Easy installation includes rubber plug (s) for installation. SKU# P015 SprinTech Road Drop Bar Rearview Mirror. Green. From Mark of Las Vegas, Nevada on 11/11/2016 . From Arthur Berger of Leawood, Kansas on 3/3/2016 . From Ben Herr of Lyons, Colorado on 1/15/2015 . From Annette of Palo Alto, California on 1/31/2014 . From Anonymous of Pittsburgh, Pennsylvania on 10/12/2013 .